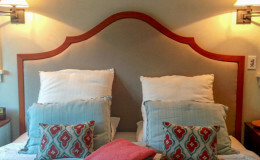 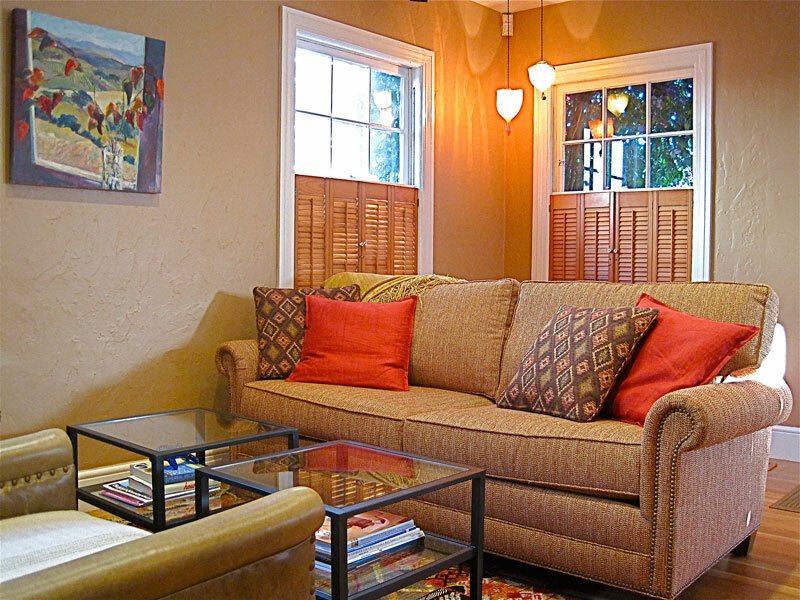 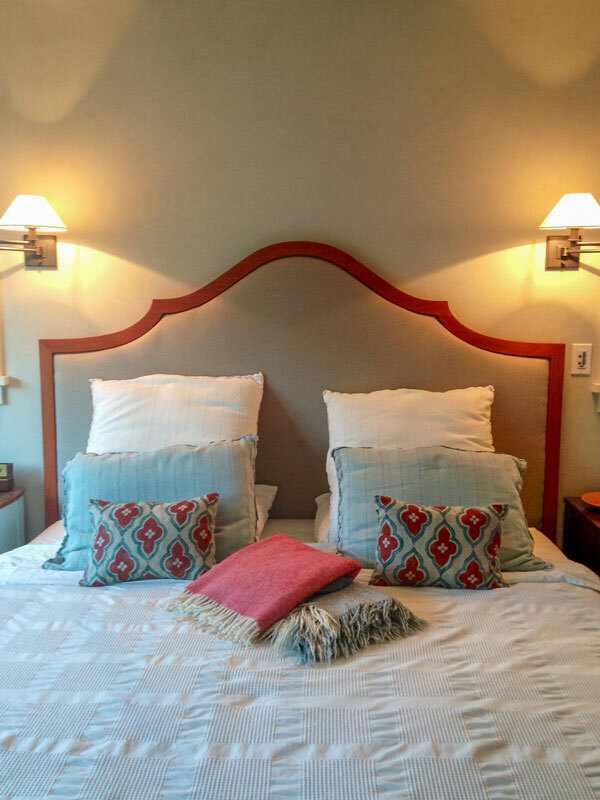 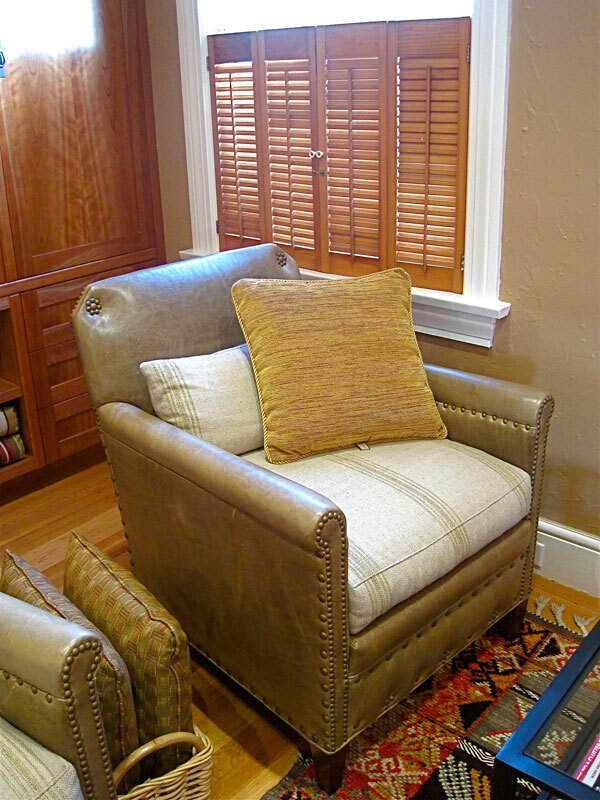 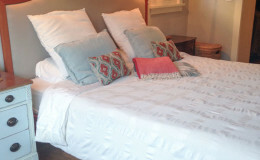 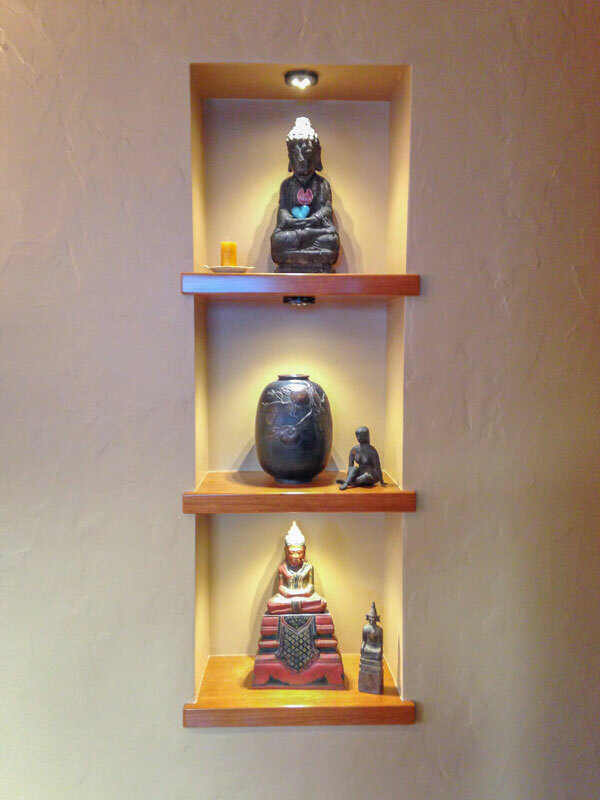 I worked with these lovely clients over several years on projects throughout their home. 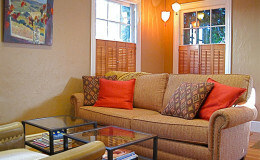 They started by adding gorgeous cherry cabinets in their living room, thanks to a very talented woodworker brother. 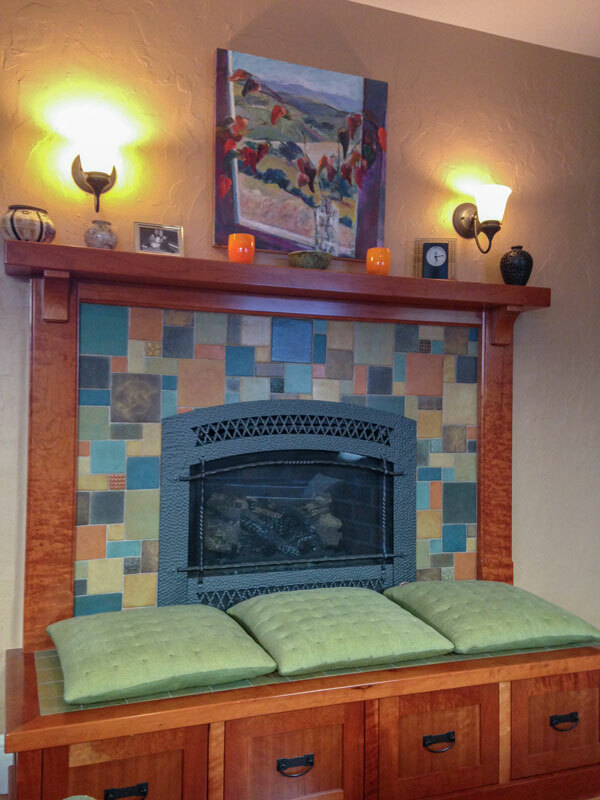 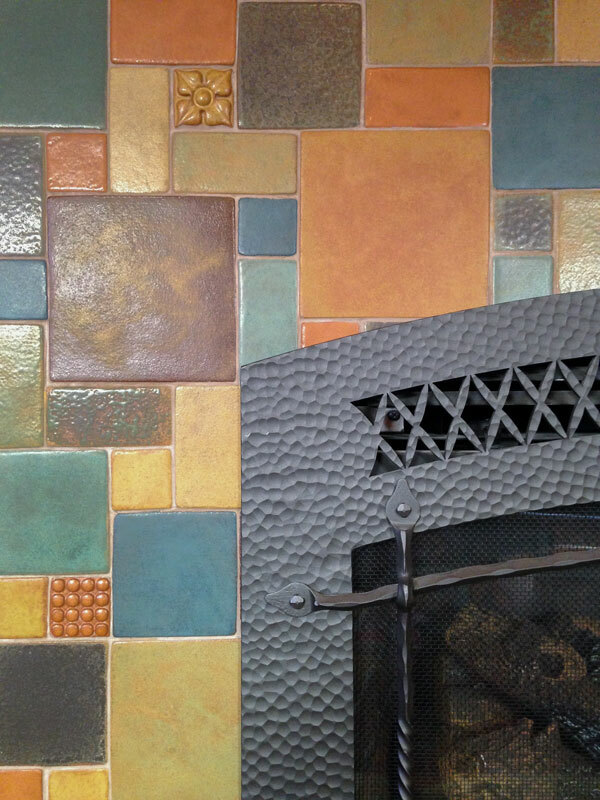 We updated the fireplace with handmade tile from Syzygy- quite a decision making process because every glaze was so varied and beautiful! 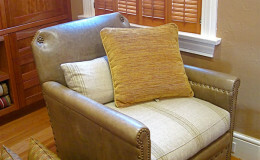 Furnishings, pillows and rugs finished out the living area. 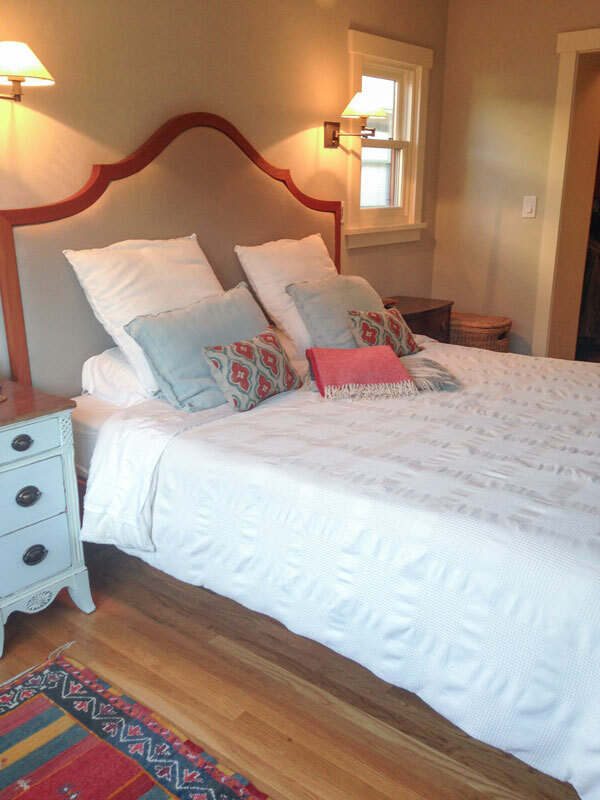 Next came a bedroom addition, and American Clay plasters throughout. 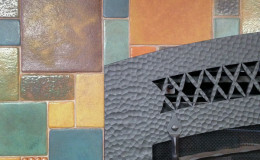 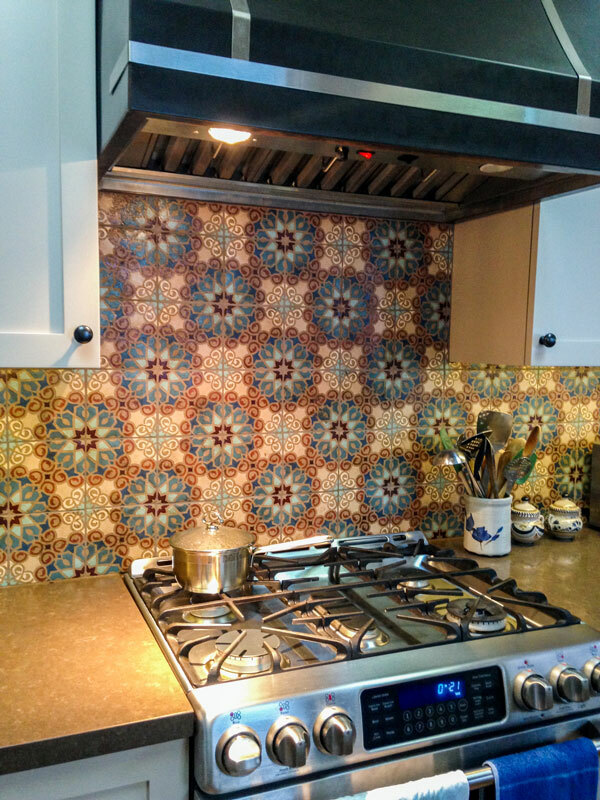 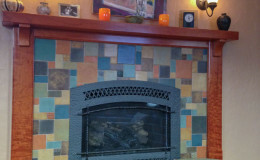 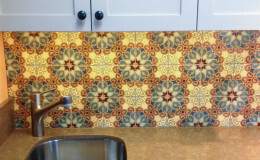 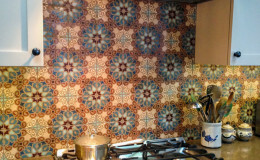 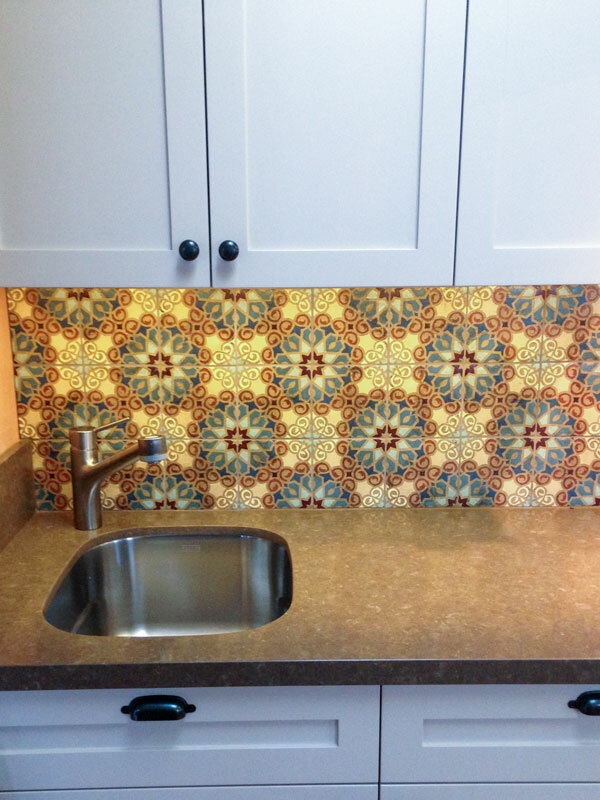 The kitchen colors and hand-painted backsplash tile in a custom palette completed the remodel. 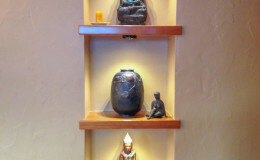 They now enjoy a gorgeous home that reflects their deep appreciation of artisanship.